IT is bigger, faster, better and easier to use. But the real reason you will eventually want to buy Apple's newest iPad hasn't happened yet. Apple's new iPad 10.7-inch has found the middle ground between the 9.7-inch screen that has been the standard since the beginning of the iPad and the 12.9-inch Pro which is more display than some people want to handle. Before we look at the pros and cons of the new iPad Pro, context is important. The iPad market is a problem for Apple. People generally love their iPad but don't want to love a new one. iPad sales peaked three years ago - since then it's been a steady decline and even with this shiny new tablet that trend is not likely to change soon. The industry-wide trend in tablets is to present them as more than something just to consume content on. Your new age tablet is a productivity tool. For Apple, that message began two years ago with the launch of the iPad Pro but it's a message that has, as yet, not had the sort of impact of sales that Apple would have hoped for. 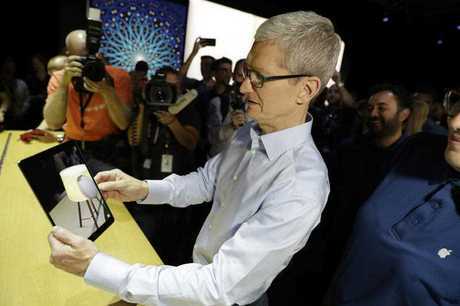 Apple has taken the standard iPad size and made it about 1cm longer and 0.5m wider. More importantly, it has shrunk the size of the bezel - the strip of black around the display - particularly on the sides. That means you get about 20 per cent more screen in a unit that is not much bigger and still under 500g. The iPad Pro 10.5-inch is powered by the A10x chip. It is 30 per cent faster and has a 40 per cent boost in graphics performance. everything from game playing to scrolling a web page. You get better performance with the Apple Pencil, which is an accessory that will become more useful when iOS 11 comes out later in the year. The real advantage with the bigger size iPad is that the digital keyboard and the optional extra Smart Keyboard are full sized. So, you no longer have to embrace the massive 12.9-inch iPad to avoid slightly cramped fingers when typing. The changes to the screen could mean even better battery performance than you expect with an iPad although it is still rated as being able to deliver 10 hours of battery. If taking pictures with a tablet is your thing, this has the same 12-megapixel camera as the iPhone 7 and a 7-megapixel front facing camera. The top of the list of missing features is iOS 11 which will not come out until later this year, probably in September. This is the first time that Apple has released a version of iOS where the key features are aimed at the iPad, rather than thinking about the cool things you will suddenly be able to do with an iPhone. There is a better dock, you can split the screen in new and more flexible ways, and crucially you can drag and drop between apps on your device. There is also a new Files app so you have easy access to all of your files, even if they're in a cloud service such as Dropbox. Sure, if you get your iPad Pro 10.5 now it will be a free upgrade to iOS 11 later. But the fact it's not on the iPad Pro 10.5 you can buy today is going to leave you disappointed for now. Apple has also not added wireless charging to the iPad Pro, despite rumours that is coming to the new iPhone due later this year. Neither has it added any new biometric identification system, such as iris scanning that has become more common with other vendors. The other thing about this iPad Pro is the wow factor is a slow burn rather an immediate response. The bezel is slimmer but the display is still a long way from being edge to edge, and the functionality improvements are something you appreciate with time. Apple's 9.7 inch iPad Pro with the Apple Pencil and smart keyboard. Despite releasing its best iPad ever, Apple has the same old problem. If you're happy with your current iPad, the boost to specs alone is probably not going to be enough to convince you to upgrade. Content is both the problem and the solution for Apple. It is the problem in that most people use their iPads to consume media, from apps to web browsing and email, and their current device is perfectly fine. But it is the solution too, because content is coming to change the way people use their iPads. Some of that content is in the form of new apps, such as the new Affinity Photo app for iPad that was demonstrated at WWDC. Yes, it will run on other iPads, from the iPad Air 2 onwards, but it takes advantage of the higher refresh features of this iPad in a way that will convince some people to make the switch. There will also be a new wave of augmented reality apps on the way, with Apple releasing a toolkit for developers. From entertainment, to shopping and education, that will change the way we use our devices, just as Pokemon Go changed game playing on the smartphone. 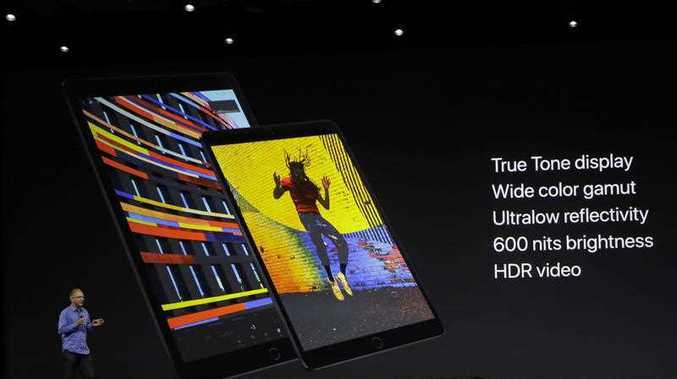 The best experience of all that will be on the fastest device with the best screen _ which means the new iPad Pro. The other big change is iOS 11. You can sum up the changes as better split screen features and a better dock and control panel and easier access to the cloud, but that doesn't really explain just how much more useful the iPad Pro becomes with these changes. Yes, you will be able to use iOS 11 on other iPads. But if your iPad is suddenly your main productivity tool, then you really do want to have the best iPad you can buy. And the best iPad you can buy is this one. Buy it now or buy it later - but for my money this is the one you will want to buy next. Wait for the iPhone 8 or go for Android?